Life Net 7-1 began operations at Albany Medical Center in February of 1996. The base was the second Life Net base to be started in the country (the first was in Redding, CA). Originally started under the name Albany Med FLIGHT, the base was started as a hybrid-community based system utilizing a BK-117 helicopter. The medical team was employed by the Emergency Department of Albany Medical Center and the aviation assets were provided by Rocky Mountain Helicopters under their newly formed Life Net system. 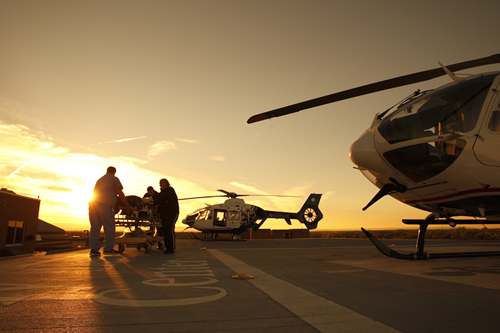 The program went on to become the first program in New York State to achieve accreditation by the Commission on Accreditation of Medical Transport Systems (CAMTS). In 2000, Albany Medical Center turned the entire program operation over to Life Net and all medical staff was then employed by Life Net. 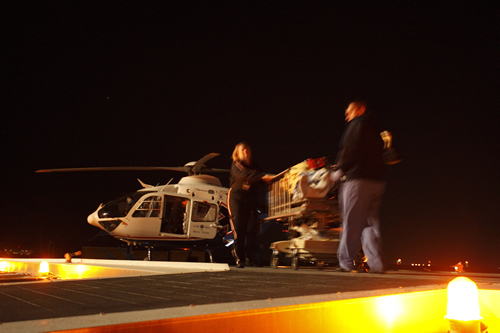 The program maintains a strategic partnership with Albany Medical Center and works cooperatively with the hospital’s PICU and NICU transport teams in order to provide air transport for those specialized patient populations. The flight team is currently based at South Albany Airport where they relocated in June of 2013 following just over 17 years at Albany Medical Center. In 2005, the base retired its BK-117 helicopter along with the Albany Med FLIGHT name. The base received a new state-of-the-art EC-135 helicopter which boasts a glass cockpit, onboard weather radar, auto-pilot, air traffic avoidance system, and wire-strike hardware. In 2008, the base became the first Life Net of NY base to transition to the use of Night Vision Goggle technology to further improve safety margins. 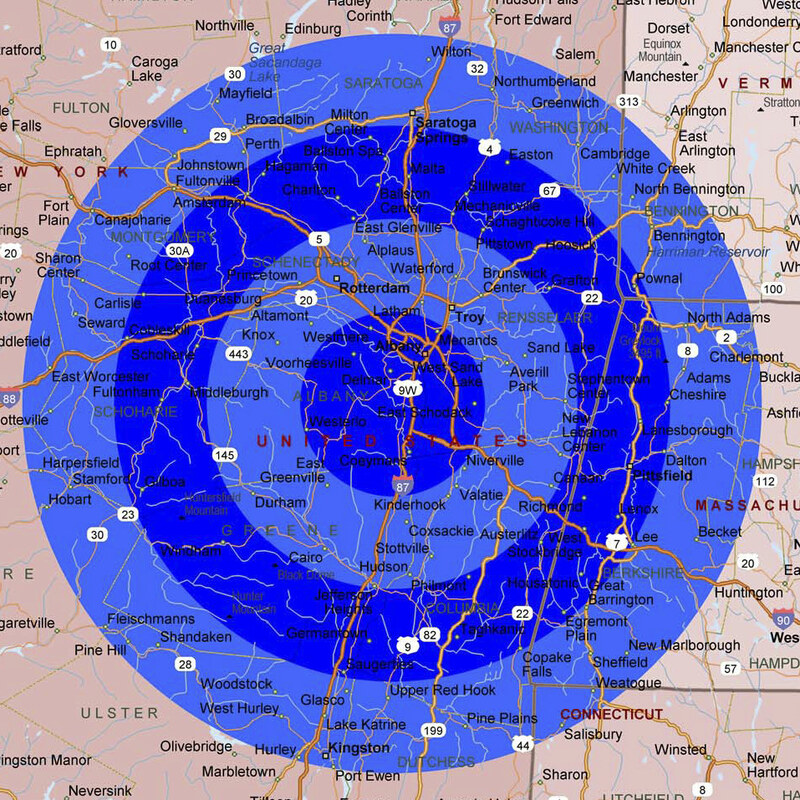 From the North - Take Interstate 87-South to exit 1E-W toward I-87 S/I-90W. Take exit 1W to merge into I-87/I-90W toward Buffalo. Follow to exit 23-1 for I-87 and merge onto I-87S. Take exit 23 for I-787 and US-9W toward Albany. Keep right at the fork and follow signs for US-9W South. Merge onto such and continue to follow US-9W South. Turn right onto Creble Road. Continue onto County Road 53 and turn left onto Old School Road. Take slight left into airport. From the East - Take Interstate 90 West to NYS Thruway Berkshire Connector. Take exit 22-61 to merge onto I-87 N toward Buffalo. Take exit 22 for NY Route 144 S toward NY 396. Merge onto NY-144/River Road. Turn right onto NY-396 W/Maple Road. Take the 2nd right onto US-9W North. Turn left onto Creble Road. Continue onto County Road 53 and turn left onto Old School Road. Take slight left into airport. From the West - Take Interstate 90 East to NYS Thruway 87 South. Take exit 23 for I-787/US-9W toward Albany. Keep right at the fork, follow signs for US-9W South and merge onto US-9W S/Southern Blvd. Turn right onto Creble Road. Continue onto County Road 53 and turn left onto Old School Road. Take slight left into airport. From the South - New York State Thruway 87 North to exit 21B to merge onto US-9W North towards Ravena. Turn left onto Creble Road. Continue onto County Road 53 and turn left onto Old School Road. Take slight left into airport.